For 25 years, Hoveround has been the leader in personal mobility and fall prevention solutions. With over 200,000 satisfied customers, we understand how crucial your freedom and independence is, and how important it is to remain in the home you know and love. The HoverGlide® family of stair lifts by Hoveround let's you safely access more of your home. We also have a full line of portable wheelchair ramps so getting in and out of the house is safe and easy. We also carry bedroom and bathroom accessories to help safeguard against falls in your home. 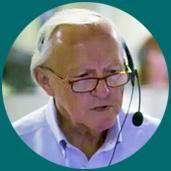 Call one of our mobility specialists at 800-542-7236 so we can assist you today.